Friday night Shaq released a LaVar Ball diss track on TMZ. It would almost be worth losing Friday nights altogether if it meant you could bundle everything in that sentence up and hurl it into the garbage, forever. You cannot! And so the Shaquille O’Neal-LaVar Ball beef now has a soundtrack. Is there background to this beef? 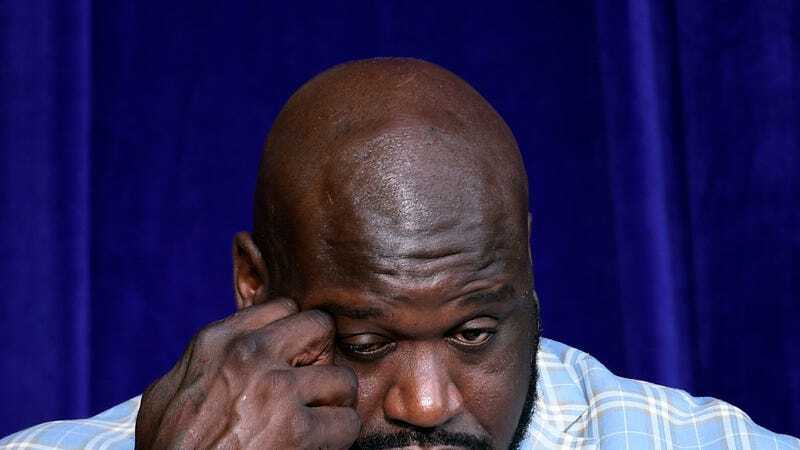 Something about LaVar Ball woofing that he and LaMelo, his son, could beat Shaq and Shaq’s son Shareef O’Neal in a game of two-on-two? And Shaq saying something unfriendly about Big Baller Brand shoes? I am shrinking in stature and growing weaker as I type these words. This thing is a mess. It includes shout-outs to The General and Icy Hot, and compares LaVar Ball unfavorably to someone named Jeff Maloney, when I am almost certain the reference is supposed to be to Matt Maloney. Also, it is a diss track by a 45-year-old television studio analyst directed at a 48-year-old AAU coach with a big mouth.